So i have been a busy little crafter lately, making all sorts of things! :) including these cute cushions for my new house! 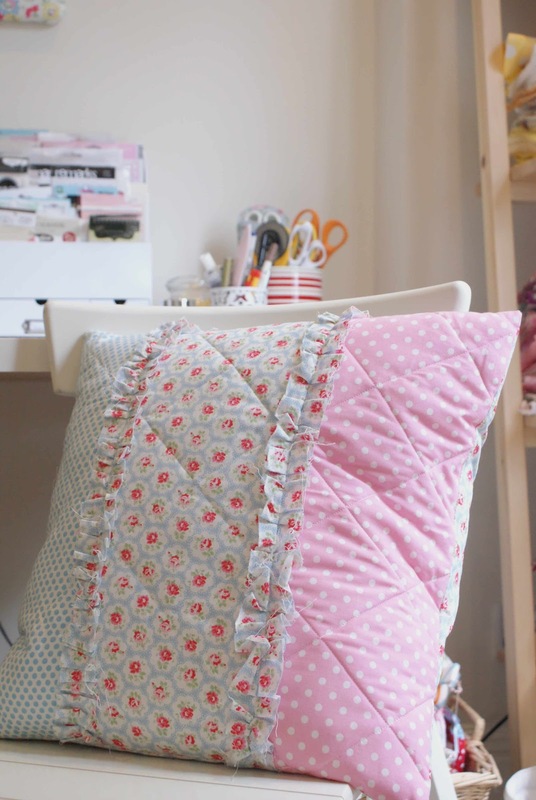 I quilted panels of fabric and added ruffled, raw edgings for a pretty finish. this cushion was just a case of making a series of rectangles, longer and longer! 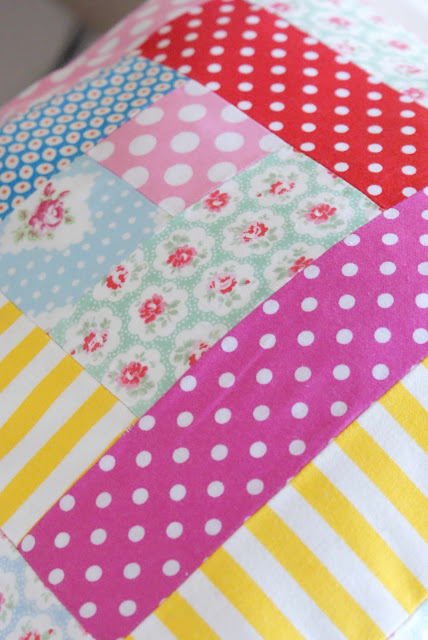 I would love to make some more, do you know of any good online tutorials/patterns for other patchwork cushions? I have also been filling up my Etsy shop with my crochet needle organisers, and i have some new products in the works at the moment too - i will share with you what they are as soon as they're done! See you soon friends! and thank you for the lovely comments some of you left yesterday, it's really given me a boost to keep blogging! That first cushion is heavenly! 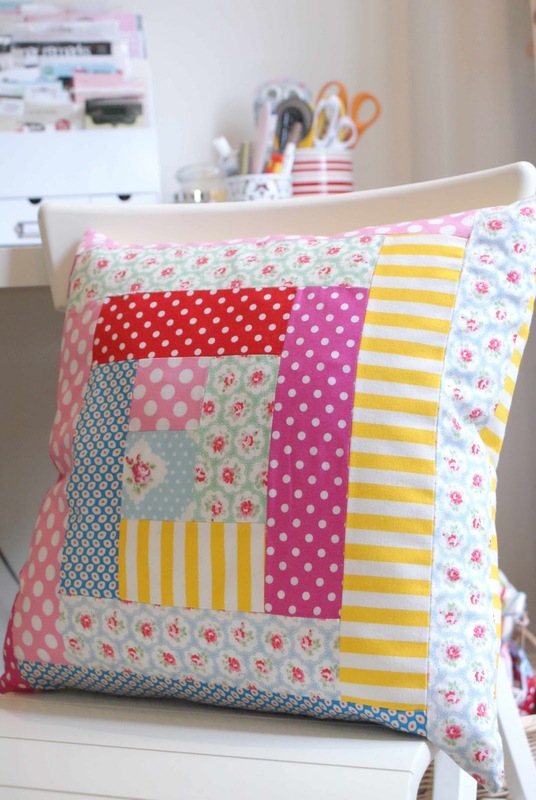 And I love the polka dot material on the second cushion too. Can't wait to see new items in your shop, really must make some purchases from my wishlist soon. omg! How darling! GREAT JOB! i love your cushions!! the ruffle is so cute!! The first one is marvellous!!! !